On the 27th December, a satellite named ZACube2, developed by teams from the F’SATI (French-South African institute of technology) of the Cape Peninsula University of Technology (CPUT), was successfully launched. A great moment for F’SATI, a branch of ESIEE Paris (CCI Paris Ile-de-France) in south Africa. 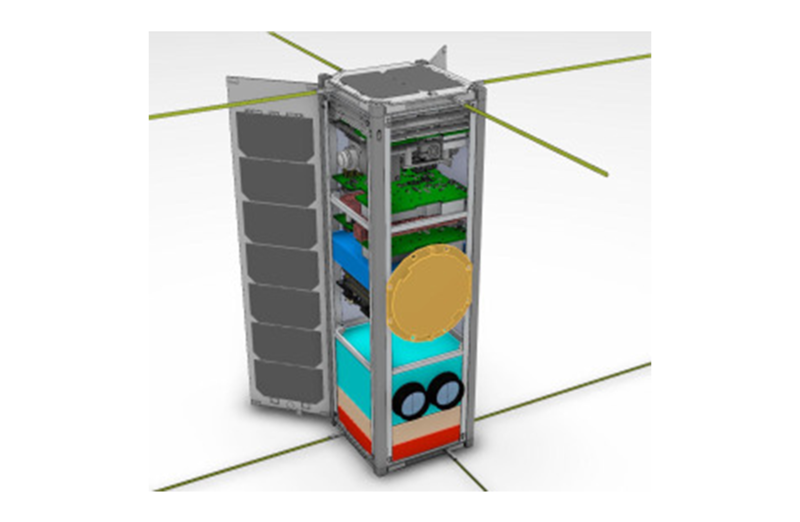 ZACube2 is the second satellite developed by F’SATI. Communication between ZACube2 and the ground has been successfully established. This is the second generation of nano-satellites. Congratulations to the whole team for this successful project! Students from Esiee Paris participated in the development of some subsystems during their internships at F’SATI. Supervision was provided by the local development team supervised by Professor Robert Van Zyl, Director of F’SATI at CPUT. F’SATI (French-South African institute of technology) is a training and research centre, created in 1997 in Pretoria, South Africa by ESIEE Paris (CCI Paris Ile-de-France) within and with the cooperation of Pretoria Technikon, noz Tshwane University of Technology (TUT). In 2008, a second F’SATI branch was opened at the Cape Peninsula University of Technology (CPUT). F’SATI offers programmes in high added value scientific and technological fields: signal processing and telecommunications – Automation and control – Information and communication techniques – Energy – Space technologies and applications.